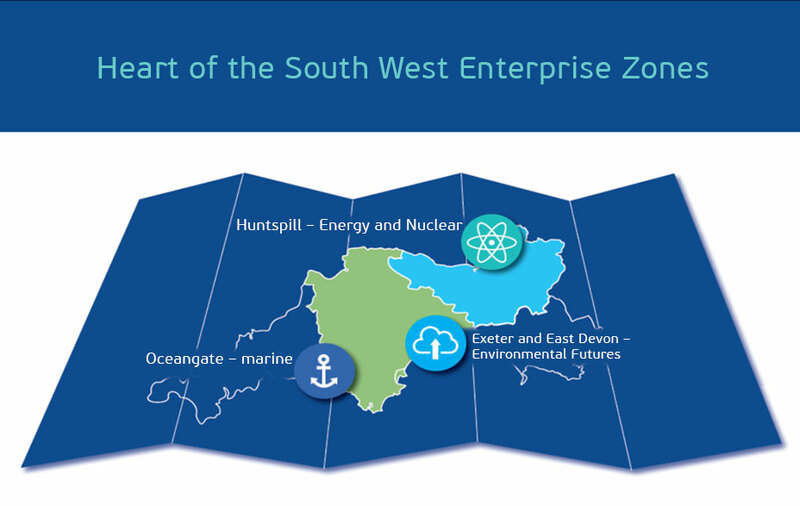 The Heart of the South West Enterprise Zone at Huntspill will benefit from Government Growth Deal funding for the Heart of the South West (HotSW) Local Enterprise Partnership, aimed at boosting local economy and growth. The Growth Deal for the HotSW LEP area was announced on 23 February by Communities Secretary Sajid Javid. HotSW LEP, covering Devon, Plymouth, Somerset and Torbay local authority areas will receive £43.57m of funding which will help to deliver 10 transformational projects. This Growth Deal money will part-fund the access road to the Heart of the South West Enterprise Zone’s Huntspill Energy Park and will assist with project’s viability and deliverability. Huntspill Energy Park is a 270-acre brownfield site located near Bridgwater, just off J23 of M5. The project has been offered Growth Deal funding to assist with building the new road which will improve access to the site. Over its lifetime the site will create over 4,400 high skilled jobs and will generate in a region of £126m of business rates, which will be reinvested to further boost the growth in the area. Huntspill Energy Park has been granted planning permission (subject to finalising legalities) to deliver 90 hectares of employment land and nearly 2 million square foot of floor space for low carbon and energy generation related businesses.